Fashion Herald: What Size Am I Anyway? Tricia Lewis, our Fashion Herald blogger, is out on maternity leave. Following is a post from her co-worker Katie who is graciously filling in as guest blogger. Let me start by saying that I’ve never been in love with Zara. I want to be, I really do. Unfortunately, I feel like everything I buy there ends up being returned, or worse…taking up space in my tiny NYC apartment closet, unworn. A few months ago I purchased a fall jacket from Zara. About a month after that, I found a more versatile, more ‘me’ jacket at Loehmann’s (one of my favorite bargain haunts, but sadly, not on 34th Street). It was my own fault for buying the Zara jacket while it was still 80-something degrees outside, I just got excited for fall. It happens. I headed to Zara on 34th Street with a mission to exchange the second string jacket for one or two versatile pieces to dress up or down, and wear to work or on the weekends. 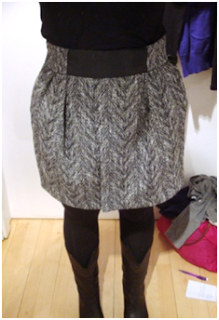 My first choice, a black and grey winter skirt, reminded me of my main beef with Zara: strange and inconsistent sizing. I tried both the L and XL. The L was too small, and for the XL to fit I had to hike it up high on my waist, making it too short to wear to work. My bottom half does tend to size larger than my top, but in other stores (Gap, Banana Republic, etc) if the M doesn’t fit, then the L will. 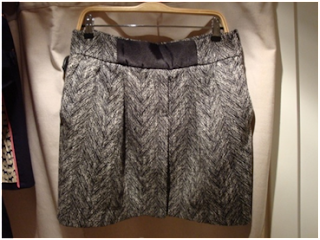 It was a shame, because I really liked this skirt at $59.90. 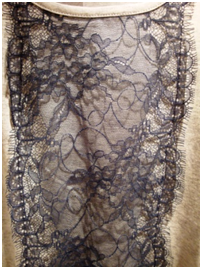 Along with the skirt, I tried two tops with pretty lace details. I liked the grey more than the black, but the smallest size I could find was a L. It was way too big. 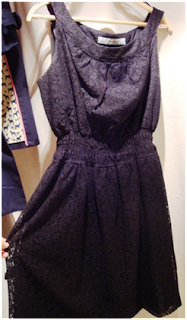 A black dress with lace overlay looked promising on the hanger. 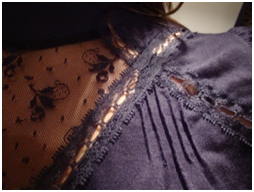 I really liked the neckline, but the top didn’t sit right on me. It puffed out too much in the front and the back, making me look disproportionately top heavy. If it fits you correctly, this is a fairly inexpensive piece that could go from the office to dinner or drinks, with just a few additional accessories. Zara TRF skinny jeans and corduroys are on sale ($35.90) at the moment. A black pair could take you through the entire winter with a nice pair of boots. Unfortunately, the size 8 pants (my usual size) were much too small. Although they had a lot of other colors in the corduroys and many different shades of denim, the store didn’t have any larger sizes. If you’re smaller than an 8, run and get them while they’re on sale. Without going into the specifics of my measurements, I’ll just put it like this: if Zara’s sizes were consistent, XL skirts wouldn’t be too small on me and L tops wouldn’t be much too big. 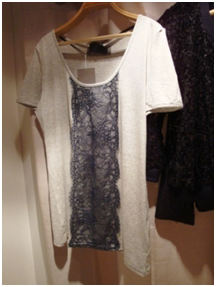 In the end, I exchanged the jacket for this short sleeved cable knit top ($39.90), a nice fall to winter transition piece. And in case you were wondering, the M fit, but I decided to go with the L to give me more room for layering. All that being said, Zara does have some great basics for winter, including long cotton cardigans in a rainbow of colors (on sale right now for $29.90), paper-thin turtlenecks, and tons of chunky knit sweaters at reasonable prices. However, be prepared to abandon the size you thought you were and cross over into Zara’s world of sizing, which I have yet to make sense of. Is it a European thing? If you know, please share! Zara, 39 W. 34th St. between 5th & 6th Ave.
Zara is hit and miss - goes from the fab to the failed. you have to try on things you wouldn't normally choose to mix it up a bit and then Zara becomes more successful because you find cuts that do work with ease. Zara is on of my fav stores but sometime it really let's me down. 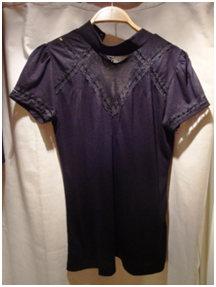 I went into Zara exactly once -- tried on a bunch of things that fit crazily, and haven't been back in a decade.